Shines a light on how provision has been ignored for all pupils. 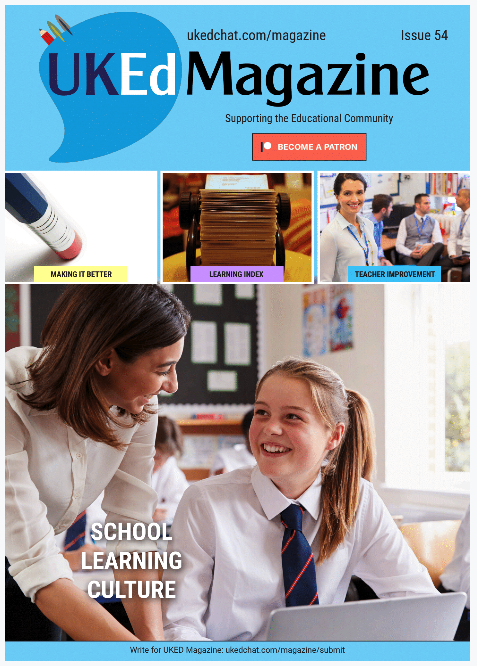 Offers suggestions to teachers and leaders to ensure positive inclusion for all. Considers the wider impact on society. Focuses on the education system in England primarily, although ideas transferable to different jurisdictions. The general population is an eclectic mix of individuals. No two people are the same, and the challenges of one person will ultimately be outweighed by the challenges of another person. For those who fall outside the ‘norms’ of society, the challenges of everyday life are even more profound, unable to access the daily privileges that most people take for granted. All this appears to be an uncomfortable truth to many in society, from politicians, leaders or for people whose lives are very contented. So much so, too many people throw a cloak of invisibility over the group of people who fall outside the ‘norms’, with Jarlath arguing that this cloak is getting bigger and heavier. This is a powerful book, highlighting how the education system generally fails the invisible group of individuals who already face significant challenges to their daily lives. In fact, Jarlath highlights how family members of significant politicians in the UK were faced with profound needs but yet, whilst they were in power, failed to grab the bull by the horns and provide support to pupils who desperately needed it. In fact, the funding was reduced or cut altogether. Jarlath also notes how the Education Secretary in England called for every pupil by the age of 11 to know their times tables off by heart. Every pupil? O’Brien points to this as being evidence that there are a group of pupils who could never achieve this goal as being marginalised, disenfranchised and, ultimately, forgotten. 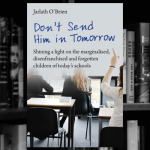 The frustration, sheer incompetence of politicians and leaders, and passion for including every child in education shines throughout this book, and Jarleth has written a very compelling narrative throughout. It’s one of those books that makes you stop and think: Stop and think about your own practice; Stop and think about how your school offers positive education for all pupils; Stop and question what on earth the politicians and leaders are actually doing to the education system. Stop and think about how lucky you are in many aspects of your life. Jarlath offers suggestions for politicians, Ofsted, local authorities, head teachers, SENCos, teachers and teaching assistants about what they can do to make a difference, and we hope that many of these people will take note of these suggestions to make a positive impact on all the pupils we encounter professionally. 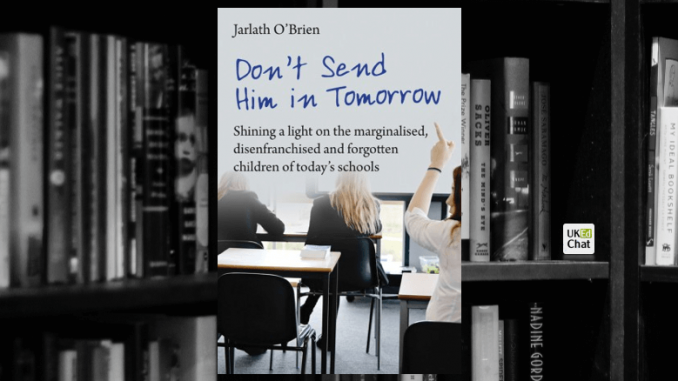 In Don’t Send Him in Tomorrow, Jarlath O’Brien shines a light on the marginalised, disenfranchised and forgotten children of today’s schools. 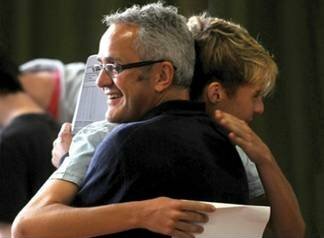 The percentage of children achieving the government’s expected standard in benchmark tests is national news every year. The progress that children with learning difficulties and SEND make is never discussed, because it is not understood. That is a problem. The bone-crushing infrastructure which professionals have to negotiate is a problem. The fact that so many parents have to fight tooth and nail so that the needs of their children are met, something the rest of us would consider a basic entitlement, is a problem. This book describes how the system and can be improved if and when these marginalised children are given higher priority by the powers that be. There is a widespread lack of understanding about special schools, the work they do, and the children they educate – the sector is largely invisible. Jarlath O’Brien has become increasingly frustrated by this, and the varying quality of provision for children with learning difficulties and SEND in mainstream schools. The successes of special schools and pupil referral units in Ofsted inspections are just not celebrated or analysed in the same way that mainstream schools’ are. While mainstream schools have their hands tied by fears over progress measures. There is a human cost to the accountability culture that reduces schooling to data and judgements: this is felt most profoundly by children with SEND and their families. Jarlath shares some of the problems he’s witnessed with inclusion and exclusion: mainstream schools actively encouraging children with SEND to look elsewhere, parents reporting their children have been formally or informally excluded from school and socially excluded by the parents of other children, children asked to leave their mainstream schools because of their behaviour – usually behaviour that is caused by their needs not being adequately addressed, children who are in school but isolated from their peers. If a child can’t participate in activities or trips with the rest of the class, or spends much of the day working one-to-one with a teaching assistant, is this really inclusion? 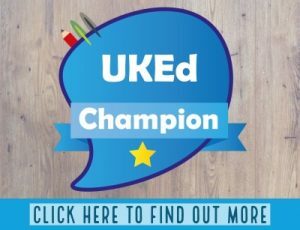 The Pupil Premium has been established to ensure that children in receipt of free school meals are not disadvantaged – why does something similar not exist for children with SEND? Every health and wealth indicator that you could use to measure people with learning difficulties and special educational needs and disabilities (SEND) reveals something alarming. They die younger. They work less. They are more likely to live in poverty or end up in prison or face mental health difficulties. They are much more likely to be excluded from school. They are more likely to be bullied at school. This has to end. We all have to choose to commit to recognising that society, as it is today, is a difficult place for young people to thrive. When you have autism, or Down’s Syndrome, or any physical or learning difference, it’s even harder – and the system as it stands isn’t helping. We need to acknowledge that this is not right; that such a state of affairs must change; and that we all have a part to play in making that change happen. 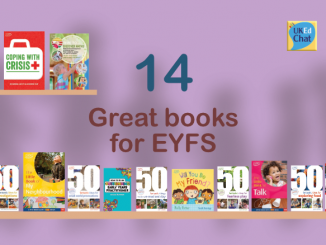 Jarlath offers suggestions for politicians, Ofsted, local authorities, head teachers, SENCos, teachers and teaching assistants about what they can do to make a difference. For all politicians, head teachers, SENCos, teachers and parents.